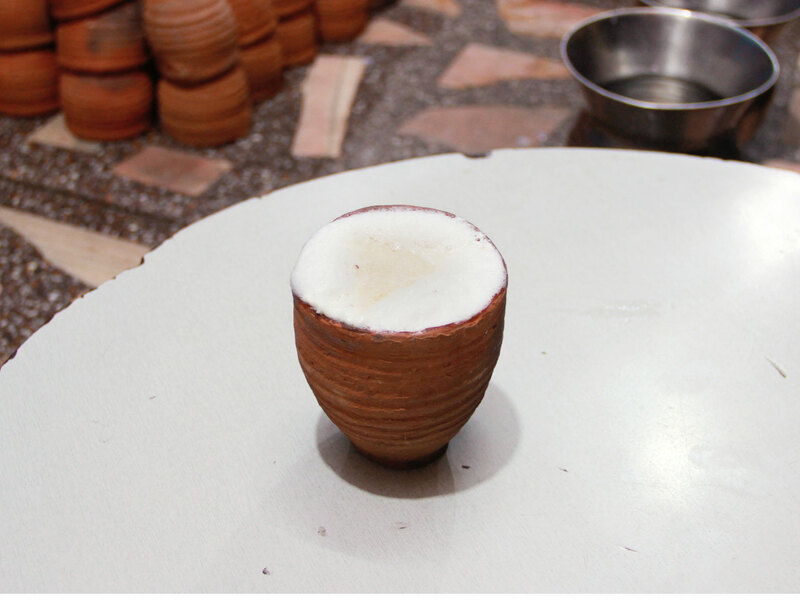 The seasoning with cardamom powder enhances the flavor of the hot milk at the Bhutia Halwai. 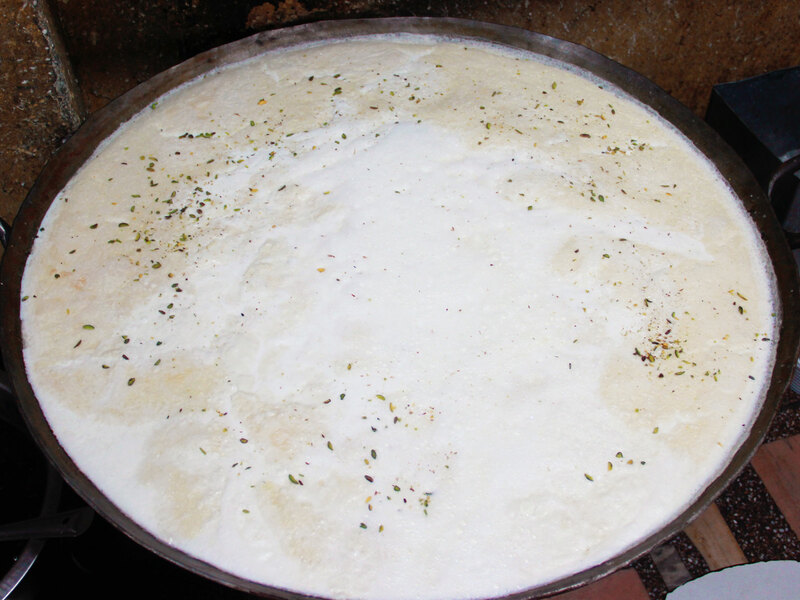 The plain milk made to boil in Kadhai (a metal pan with round bottom) for a long time gets a bit thicker. 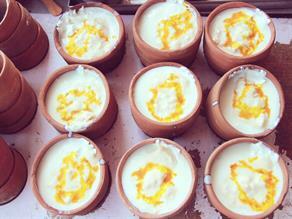 It is seasoned with cardamom and served hot in the Kulhads (the traditional terracotta handle-less cups). 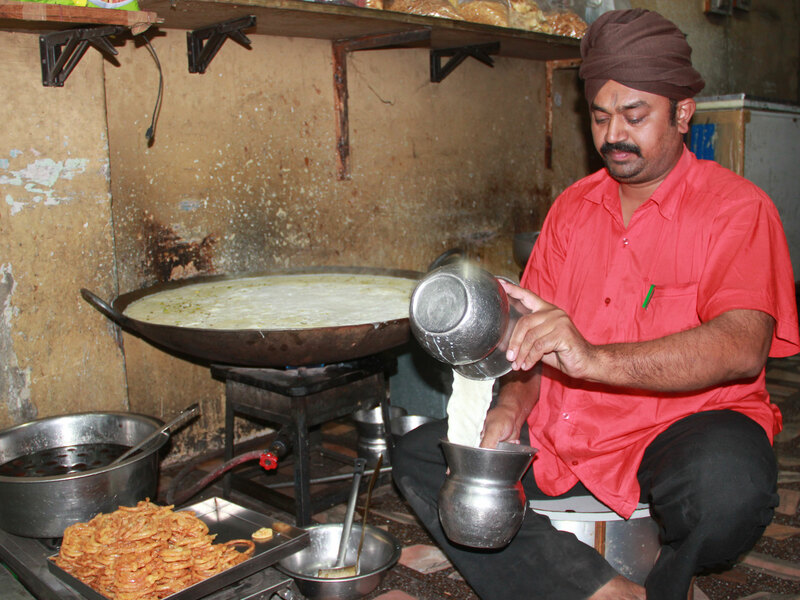 It is generally relished with hot Jalebis. 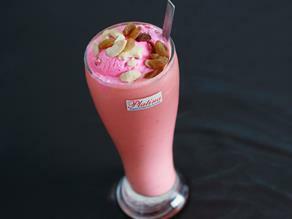 The taste is available from 02:00 p.m. to 11:00 p.m.
Flavored Milk is a common beverage consumed across the country. Popular flavors of Hot Milk include Kesar Doodh (Seasoned with Saffron) and Hot Chocolate Milk, while Rose Milk (milk seasoned with rose syrup) and Almond flavored Milk are served chilled. 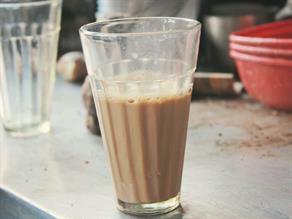 Plain simmered milk sweetened and seasoned with cardamom is also served as a preferred hot drink in India. 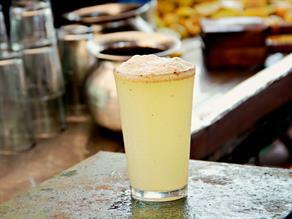 Nearly eight decades old Bhutia Halwai is a very renowned name in Ajmer. 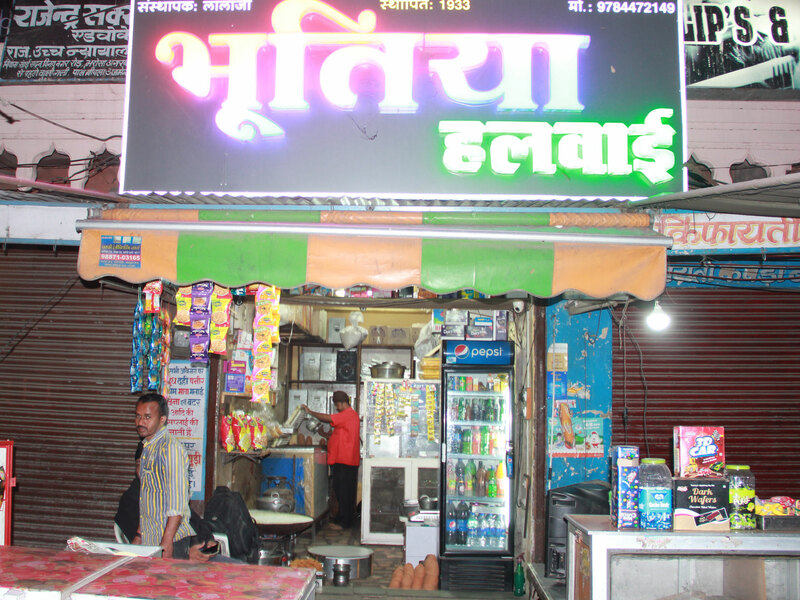 It is known to offer a variety of quality items, like-cottage cheese, butter, milk cream, Mawa etc to its customers . 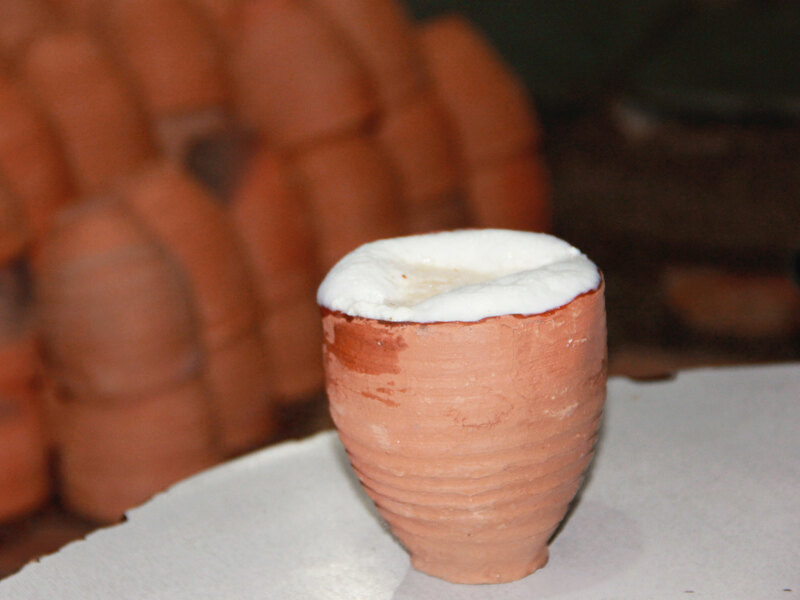 The hot Doodh is made available to the customers at 02:00 in the afternoon and people continue to relish it till midnight.